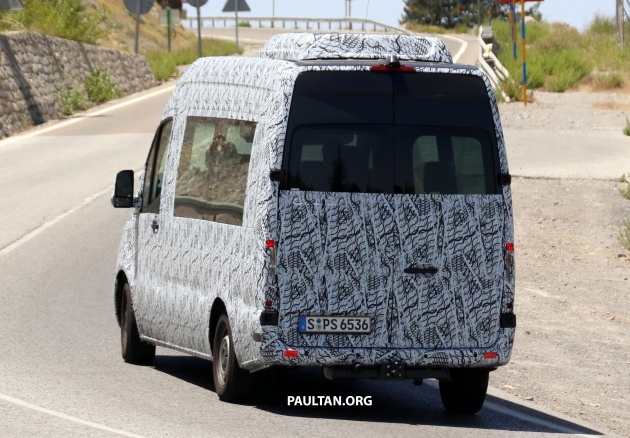 The summer testing season in Europe brings a veritable buffet line of new vehicles being tested, and we can now see that it includes larger transport vehicles such as the Mercedes-Benz Sprinter our spy photographers have spotted testing in southern Spain. Slated for a 2018 release, this new Sprinter is set to replace the outgoing model which actually has a twin sibling in the Volkswagen Crafter – both are built at Mercedes-Benz facilities in Ludwigsfelde and Düsseldorf. 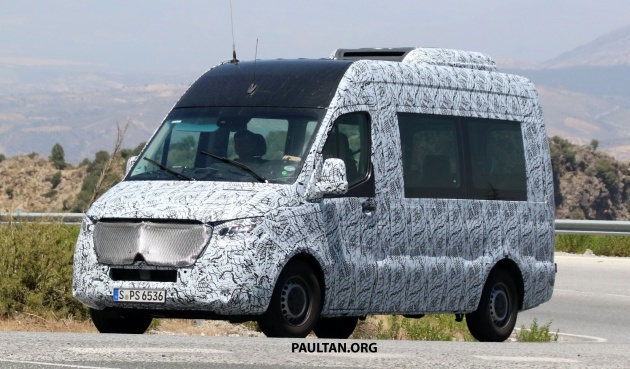 This time around when the 2018 Sprinter goes into production, it will be a Mercedes-Benz-only product. When the next Sprinter van makes its debut, it should also be offered with various forms of electrified powertrain, including plug-in hybrids and fully-electric versions. The German manufacturer has also found a volume buyer for its future electrified versions of both the Vito and the Sprinter in courier service provider Hermes, which stated intent for purchasing around 1,500 units of the Vito and Sprinter EVs by 2020, according to Inside EVs. The German courier service provider aims to go fully zero-emissions within inner-city areas of all major German cities by 2025, according to the report. “Electric drive is a key technology for urban transport – especially in commercial use. Last-mile deliveries must become more efficient and in specific applications, emission-free. We are proud that we can already announce that Hermes will be our first customer, and with a significant number of vehicles at that,” said head of Mercedes-Benz Vans, Volker Mornhinweg. An important key aspect for the future is the gradual electrification of our fleet in urban areas. At the same time, we are continuing with the full changeover to low-emission Euro 6 vehicles,” said Frank Rausch, CEO of Hermes Germany GmbH. The logistics provider has been in partnership with Mercedes-Benz since 1972.